Candace H. Johnson-For Shaw Media Makenzie Strain, 8, of Wauconda gets a bike helmet put on his head by Matt Wilhelm, of Naperville, BMX champion, before learning a bike trick during the BMX Show at the Wauconda Area Library. Candace H. Johnson-For Shaw Media BMX champion Matt Wilhelm, of Naperville works with Makenzie Strain, 8, of Wauconda on kicking the tire back on a bike while moving for a bike trick during the BMX Show at the Wauconda Area Library. 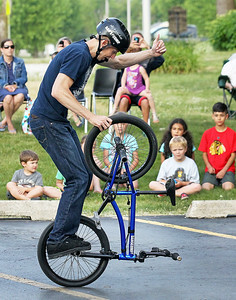 Candace H. Johnson-For Shaw Media Matt Wilhelm, of Naperville, a BMX Flatland rider, does a bike trick for the crowd during the BMX Show at the Wauconda Area Library. 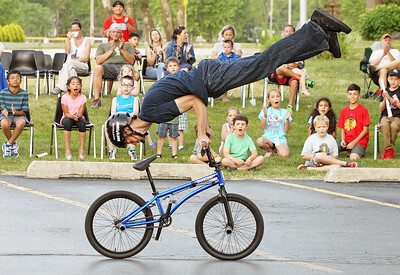 Candace H. Johnson-For Shaw Media BMX Flatland rider Matt Wilhelm, of Naperville does a hand stand on his bike during the BMX Show at the Wauconda Area Library. 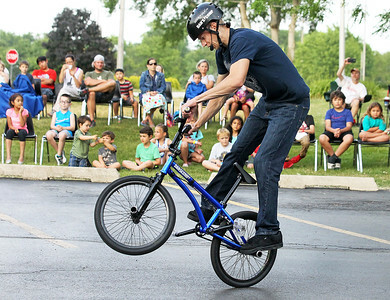 Candace H. Johnson-For Shaw Media BMX Flatland rider Matt Wilhelm, of Naperville, does a bike trick for the crowd during the BMX Show at the Wauconda Area Library. 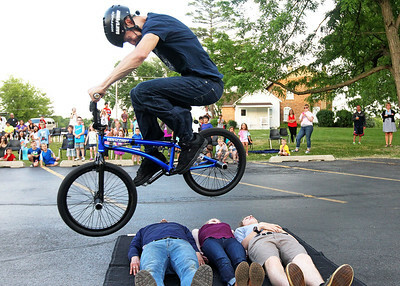 Candace H. Johnson-For Shaw Media Matt Wilhelm, of Naperville, a BMX Flatland rider, does a Bunny Hop bike trick over volunteers, Dave Schmitz, of Island Lake, Jenny Japuntich, of Wauconda and Troy Mundschenk, of Lake Zurich during the BMX Show at the Wauconda Area Library. 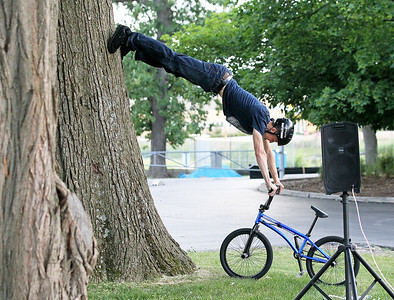 Candace H. Johnson-For Shaw Media BMX champion Matt Wilhelm, of Naperville does his Spiderman bike trick as he balances on a tree during the BMX Show at the Wauconda Area Library. 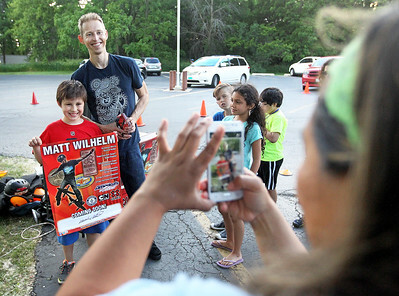 Candace H. Johnson-For Shaw Media John Morales, 8, of Wauconda gets his picture taken by his mother, Maritza, with BMX champion Matt Wilhelm, of Naperville after the BMX Show at the Wauconda Area Library. 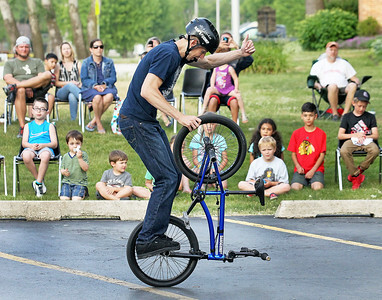 Matt Wilhelm, of Naperville, a BMX Flatland rider, does a bike trick for the crowd during the BMX Show at the Wauconda Area Library.